This webinar was live broadcast on Tuesday, February 5, 2019. You are purchasing a recording. You have 30 days from purchase date to download. Someone has a stroke every 40 seconds in the United States. Based on the latest statistics by the National Stroke Association, there are nearly 7 million stoke survivors in the United States. As fitness professionals, we usually meet survivors after they’ve had physical therapy sessions their insurance provided. Unfortunately, this is not enough to take most survivors back to their everyday life movements and activities prior to a stroke. Thousands of stroke survivors worldwide are left on their own, desperately seeking help to aid in their continued recovery, and are reaching to the fitness professional community. 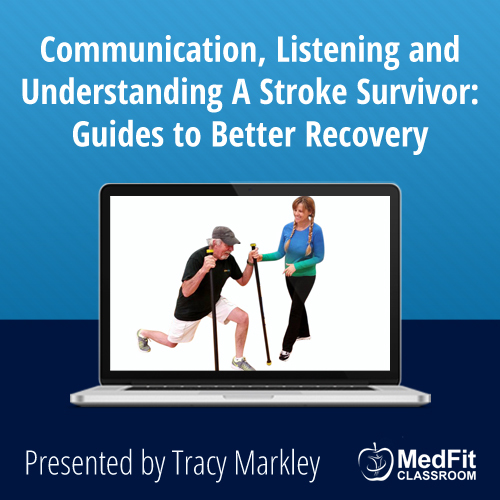 In this webinar, expert Tracy Markley will be discussing the essentials needed for communication while working with a stroke survivor client. It’s important to understand that stroke survivors are not all the same. A professional and client must establish a good communication system for optimal recovery; communication will help both the survivor and the fitness professional follow what pathways are being formed. The power of having a strong knowledge of muscles and the biomechanics of human movement. 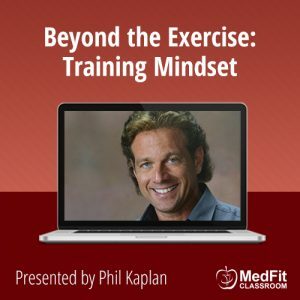 How to follow the brain’s lead in recovery. How to understand and communicate to a survivor while working with them on issues such as drop foot, spasticity, balance, fatigue, aphasia, loss of cognitive skills, proprioception and spatial awareness. 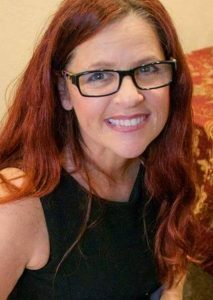 How to educate a survivor and/or their caregivers to help with their communication to you as a professional, ultimately assisting the survivor in greater recovery. 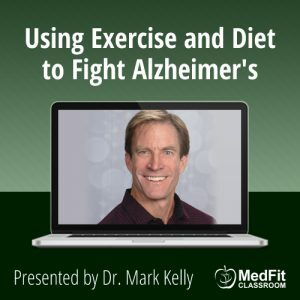 For those interested in deeper knowledge of the topic after viewing the webinar, Tracy will also provide information on enrolling in her more in-depth online course. 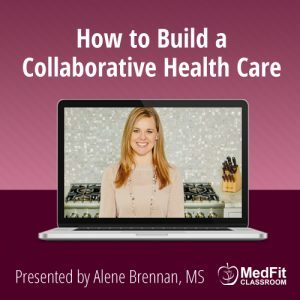 THIS WEBINAR RECORDING IS FREE FOR MedFit Network (MFN) professional members. Active MFN members should CLICK HERE & log in to your MFN account; instructions for accessing webinar recordings is available on your MFN account dashboard.